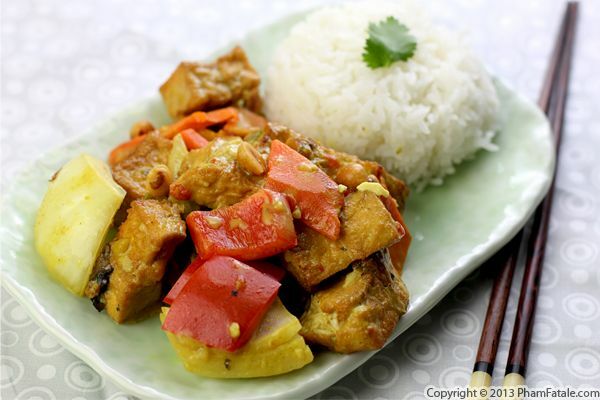 I haven't cooked any tofu dishes for my husband Lulu in a while and I thought it would be good to vary his diet. So I prepared tofu with fresh wood ear mushrooms, sweet potatoes, carrots and red bell peppers that I stir-fried in coconut, galangal and turmeric curry sauce. I topped the tofu dish with a few roasted peanuts to create a contrast in texture and make the dish more fun. This is a recipe that didn't make it into the Bánh Mì cookbook, my second publication that is already available for pre-order. I prepared a vegetable and tofu pâté that's often used in vegetarian bánh mì sandwiches. This dish is called tàu hũ chưng in Vietnamese. I mixed tofu and a mirepoix of vegetables, which is a combination of coarsely chopped carrots, onions, leek, celery and mushrooms. The preparation is steamed then baked until firm. 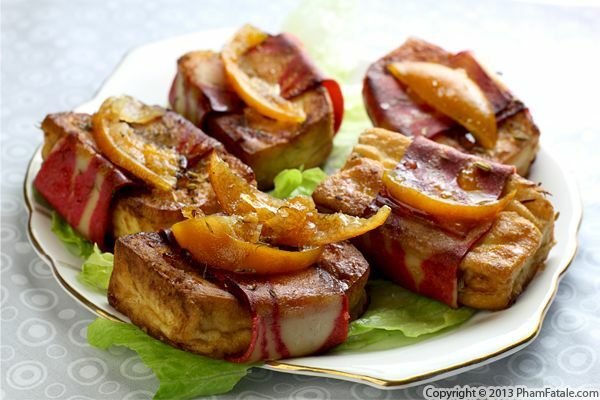 Over the past few weeks I’ve been posting a vegetarian recipe each Monday. It’s part of an effort on my part to eat a little bit healthier by reducing my meat consumption. 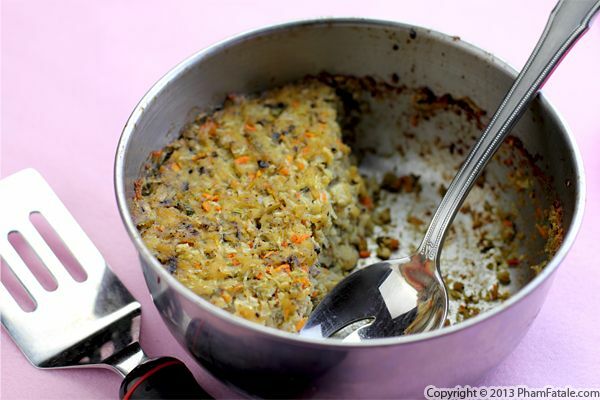 So from now on, you'll find a vegetarian recipe every "Meatless Monday". I mentioned last week that we have an abundance of fragrant Meyer lemons from our garden. I cooked up a storm using up all the lemons we had and I'll be sharing all the recipes with you in the coming days. Our favorite tofu company, Vinh Khang Tofu, has just opened a new location in San Jose, close to King road in Sunset plaza. We visited the shop and stocked up on loads of freshly pressed tofu for the week. 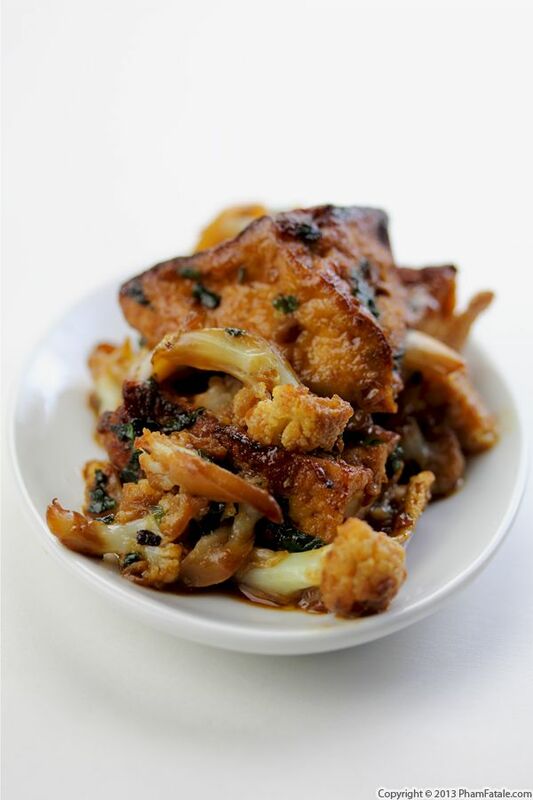 I used some of it to make this crispy yet still fluffy tofu with cauliflower. I've prepared tofu so many times over the years that I bet I could prepare a tofu stir fry dish with my eyes closed. I must admit though, that I've never tried it with cauliflower, and I have to say that I really like how it turned out. The cauliflower softened nicely and provided a nice contrast to the crispiness of the tofu. Definitely worth a try! My husband Lulu's niece and nephew spent the afternoon with us. It was so nice having so many children in the house. Of course, our daughter Aria was the center of attention and she loved it! While they were playing with the baby, I prepared dinner. I cooked some brown rice (Lulu's request since the beginning of the new year) and made mushroom tofu stir fry. 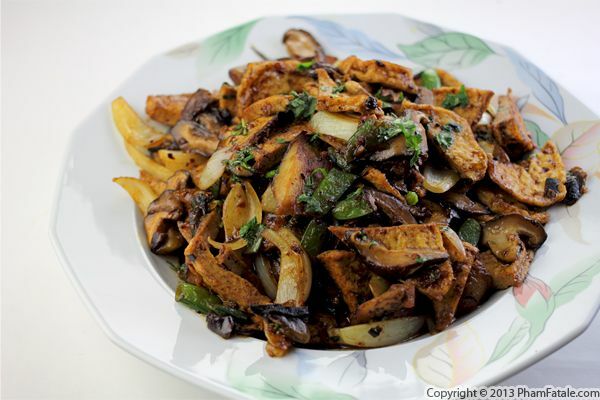 The stir fry is composed of combined shiitake mushrooms, oyster mushrooms and enoki mushrooms, Japanese eggplant, sugar snap peas and tofu, of course! Page 18 of 23 pages.